The largest collection of exciting cars you'll find in the whole of the UK makes the British Motor Museum a must-visit haunt for all motor enthusiasts. The main space is divided into sections. Each one has a theme, e.g. design concepts or sports cars. With over 300 cars in the museum, they needed an interesting arrangement system, after all, and the layout of the centre shows the cars off at their best. To get to the central arena, however, you walk through a section filling in more of the history of cars. This includes older models and information panels, but also a mockup garage alongside a discussion of just what a garage is: a place to keep your car, buy a car, or get a car fixed. One area holds famous cars from entertainment. The unmissable FAB 1 (Thunderbirds) sits by the DeLorean (Back to the Future), for example, mixing genres but looking fabulous. The museum also has an archive of over a million items and gives access to a 'behind the scenes' storage area for car memorabilia and parts. The film cars, however, may be the draw for many visitors. Some sections of the museum deal with particularly iconic cars, such as the Landrover. Piled high on blocks, this display gives a great sense of the ruggedness of the car, and its many varieties. One MG has been sawn in half so that you can see how a car is built. Which bit of an engine goes where? What is going on in the carriage? It's a great chance to see 'under the bonnet' in a different way. Around the edge of the central area is a timeline of cars, showcasing models from different eras. These give a great visual representation of the flow of change and fashion. One classic is a car used by Her Majesty the Queen, with a tax disk from 1987 - these are real cars, used by real people. There is a huge amount for children to do. They can borrow small minis to wheel around, or sit in to be pushed around in. 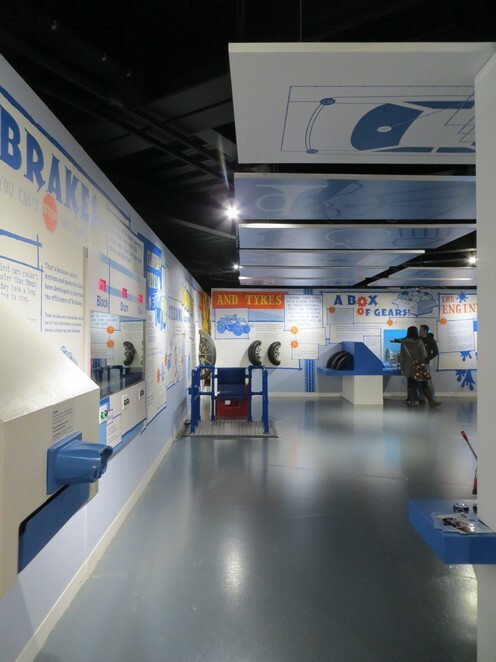 There is a whole family activity area, which includes activities on a range of different aspects of car mechanics, as well as just some fun cars to push around. Learn about gears, suspension and steering in an area slightly partitioned off, and so easy to keep hold of a child in. 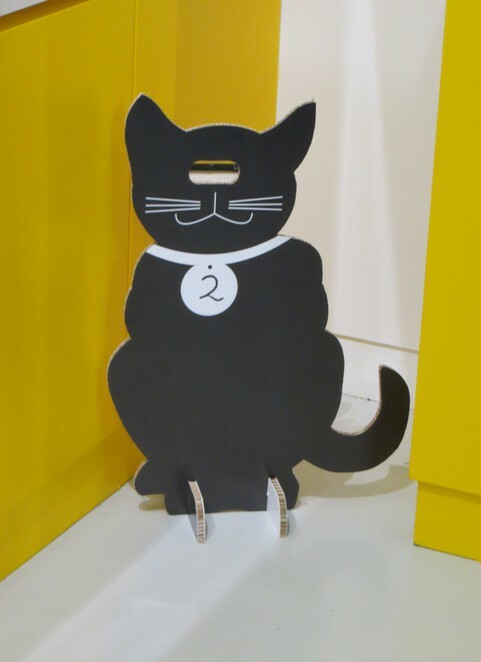 Look out for the cats around the museum, marking points on a trail activity which children can pick up at the entrance. Upstairs is the James Hull collection. The largest single private collection of cars, at 543, was bought by the museum in 2014, and a select few are now on show. There is also a conference centre, for people seeking interesting large venues. They take school group bookings, run exhibitions, and offer a range of vehicles for hire. Everything is accessible at ground floor level, apart from the Hull collection, but there is a lift. Entrance tickets can be upgraded to an annual pass by gift-aiding the fee, if you are a UK taxpayer. You need to keep hold of your receipt and will be asked for a verified signature to gain re-entry.